If you're too psyched to wait for next month's Windows 10 launch, today is a good day. Microsoft has launched an updated preview of Windows 10 Mobile that includes a ton of user experience enhancements, including a revamped PIN pad, a darker themed Cortana homepage, and a more easily navigable Photos app. Cortana, which Microsoft says is very close to its final design, features a darker design similar to the blues and blacks you'll see when you navigate the rest of Windows 10. Additionally, the digital personal assistant application will now be able to automatically track flights and shipments by scanning your email, similar to Google Now, which is a direct knockoff of Google's Now application. Essentially, Cortana will notice that a Microsoft shipping partner has sent you a new Surface 3, and it will add the delivery date to your calendar, and provide you with an audio alert so you know when the tablet will arrive. The new and improved Cortana will be able to respond to queries about the weather, currency exchanges and stock quotes. Once you ask Cortana a question, the app will provide inline answers, which you can then tap onto in order to explore further. The Windows 10 Mobile Photos app will now let you organize your photos by the month. You can simply scroll through your pics via the 12 months of the year, similar to how you would navigate Collections in iOS. Another new iOS-familiar feature is the ability to double-tap to zoom on a photo. Lumia 640, 640XL, 930, Icon, or 1520 users can now make the Lumia Camera Beta application their default camera app for Windows 10 Mobile. The Lumia app is similar in form and function to the Windows 10 Mobile camera app, however it includes additional features, such as the ability to toggle between auto and manual modes and capture 4K video. Previously announced Camera app improvements include built-in HDR and enhanced manual settings for more advanced photographers. 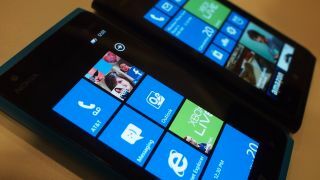 Windows 10 Mobile will also provide better one-handed use. By simply pressing and holding the Start button, you can slide your screen to the bottom of the phone in order to navigate the upper corners. You'll also slide the screen back up by tapping the blank space where the upper corners of the screen were located previously. For anyone who has ever set a Lock screen image with sentimental value, you'll love the latest improvement, which makes the PIN pad transparent so that your image doesn't disappear when you go to input your passcode. This obviously isn't a major overhaul, but one that's worth calling out since you'll likely interact with the PIN pad dozens of times each day. More than four million people have downloaded the beta version of Windows 10, which is scheduled to go live on July 29. It is likely Windows 10 will launch only for desktops and laptops at that time, and then for additional devices in the following months. Windows 10 will be available in seven versions – Internet of Things, Mobile, Home, Enterprise, Professional Mobile Enterprise and Education. Among many changes to the Windows 10 Mobile experience is a brand new Outlook that will enable you to fully format your text and check email that's synched across multiple devices.